Last Saturday we moved to a new home… again. I am really starting to feel like a Nomad with as many times as we have moved lately. We’ve moved six times in less than eight years and Chris has now lived in five homes in the five and a half years that he has been with us. I loved the last place we lived. 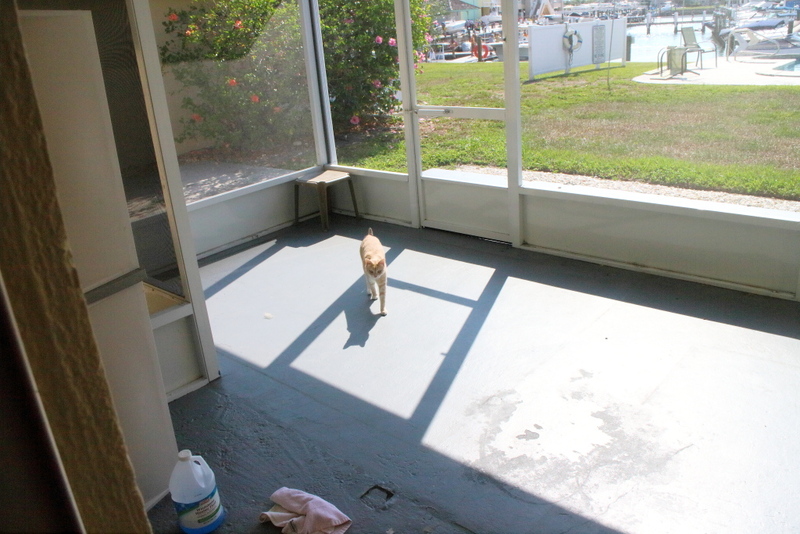 It had a great screened patio for the cats, a nice big back yard for the cat’s weekly outing, great neighbors and a nice view of the marina. It also came with a hefty price tag and now that we have a car payment we decided to find a place that would free up money for things like vacations and cat food. Since Rose is turning 55 this year, she decided she wanted to check out 55+ communities. I had noticed in the past that the best deals seemed to be in those neighborhoods so I included those in my search. We ended up finding an incredible deal on a partially renovated mobile home in a well-kept 55+ community that is about six miles from our old home and is also closer to work for both of us. We paid cash for it and the lot rent is about 40% of what we were paying. That means I won’t have to feel guilty every time I fork over $39 for twelve days worth of wet food. I won’t even talk about the dry food and litter. We packed for two weeks and the cats didn’t really notice at first but after the first week we started bringing stuff over to the new house. 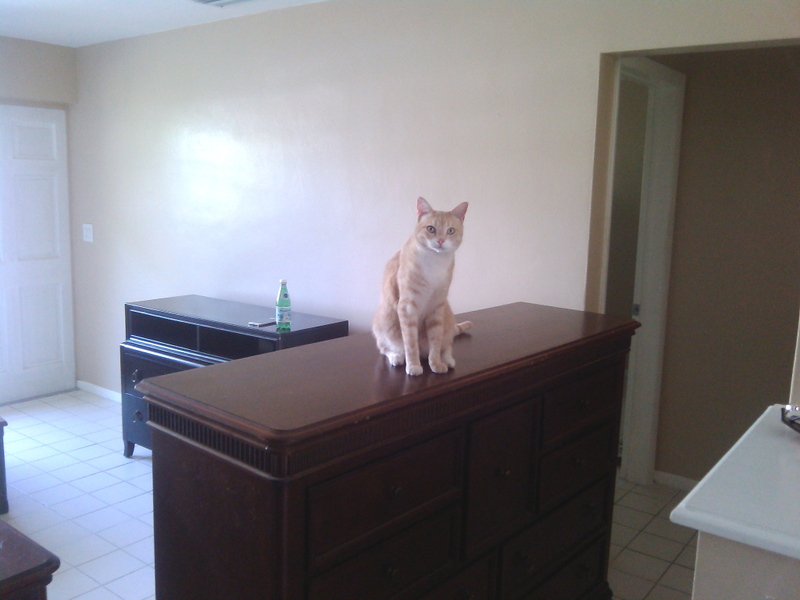 When our house became emptier with each passing day the cats seemed a little on edge. When I say cats, I mean mostly Puck, but Chris and Frankie were also affected. I think those two just became more needy for attention. By moving day it was obvious something was up. The house was half empty and we had the beds leaning against the wall. We moved most of our stuff ourselves but saved the big stuff for a moving company. 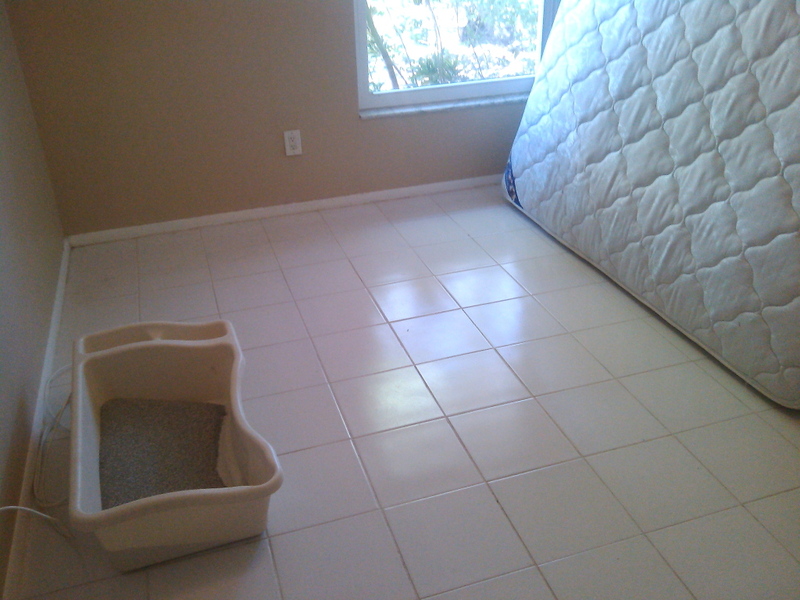 That morning had brought a load of stuff to the new and when we returned I loaded the rest of the small stuff in the truck and waited for the movers.They showed up just before noon and when they arrived we closed the cats in our bedroom with a litter box, food and water. 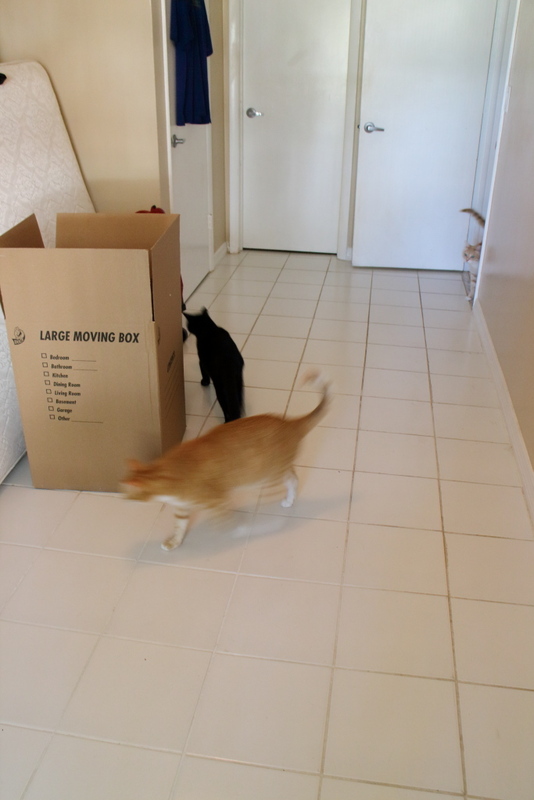 It took them about thirty minutes and then we opened the bedroom door and left to follow the movers to the new place, When everything was unloaded, I went back alone to get the cats. When I arrived there was not a cat in site. 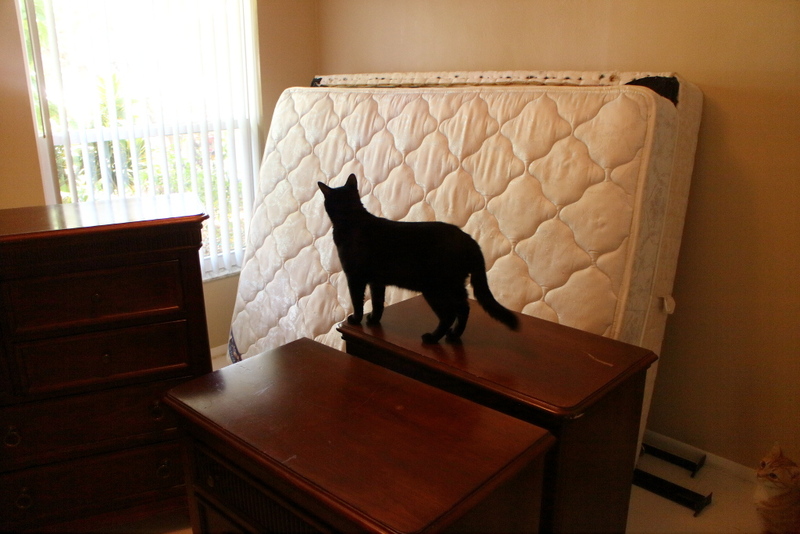 Before we left I saw Puck squeeze between the mattress and box-spring that was leaning against the wall. His favorite hiding place was inside the box-spring so he managed to find his way in there, despite the challenges. Apparently Chris and Frankie liked that idea so they joined him. I had to tear off some of the lining to get them out. 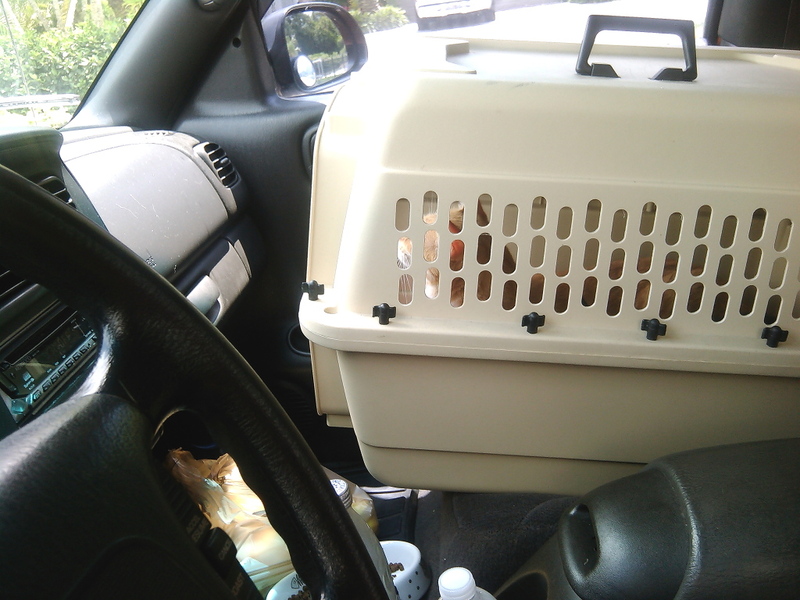 I first put Puck in the large carrier and then quickly grabbed Chris and put him in there too. I then put Frankie in the smaller carrier. Surprisingly, it was easier than I had expected. 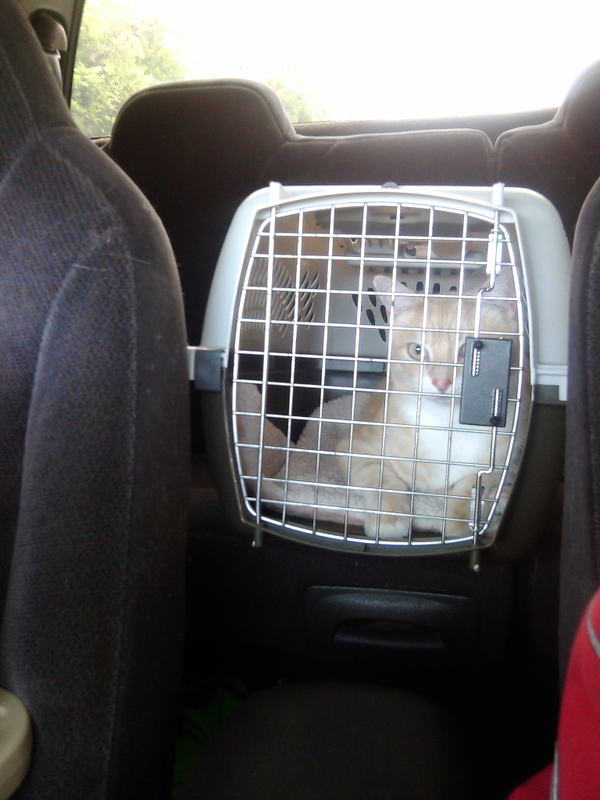 I put Chris and Puck next to me in the front seat and Frankie in the middle of the back seat where I could see him. They didn’t seem too stressed and made very little noise. Even so, I wanted to get them there as soon as possible. About a mile or so from my destination I was stopped by the longest funeral procession I had ever seen. 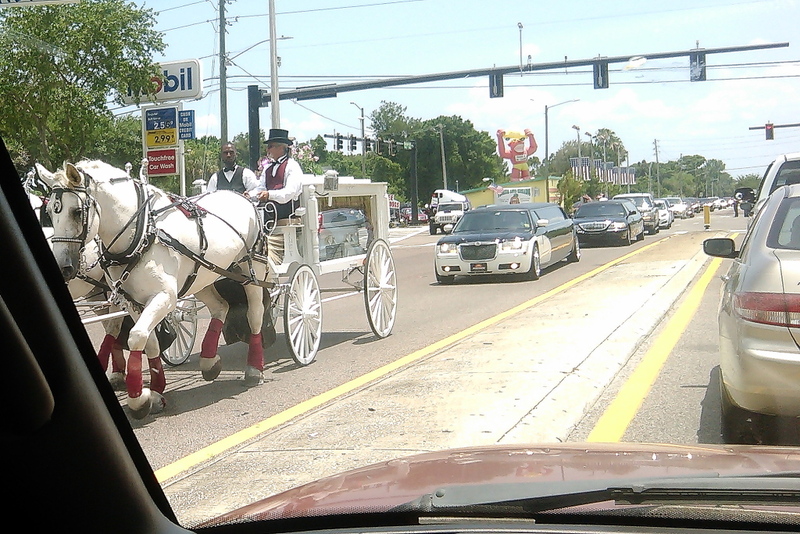 It was also the slowest due to the coffin being pulled by horse and buggy. I was concerned someone would start to get agitated but they were all good. When we got to the new place, Chris and Frankie went exploring and Puck just hid in the carrier for a while and then left to find a better hiding place. I took a video with my phone when I set them loose but after two minutes the battery died and the video was lost. I quickly got my other camera and was able to capture a bit of the investigation. Puck spent the next couple of days in and out of hiding and even Frankie hid under the bed with him at times. They also have not eaten much of their wet food and I threw away most of what I had given them these last few days. Chris never eats much of the wet food anyway and I don’t think this move has affected him much. Frankie seems mostly comfortable here but he is still surprisingly skittish when someone comes in the door. Puck spend much of his time under the bed but when he is out he seems fine. There are other things I want to mention but I will save them for another post. This entry was posted in Uncategorized and tagged Cats, funeral, horse and buggy, Moving, stress on May 28, 2015 by Charles Huss. Awwww looks like they are going to adjust just fine!! Loved the video!! Thanks. I think they will be fine too. 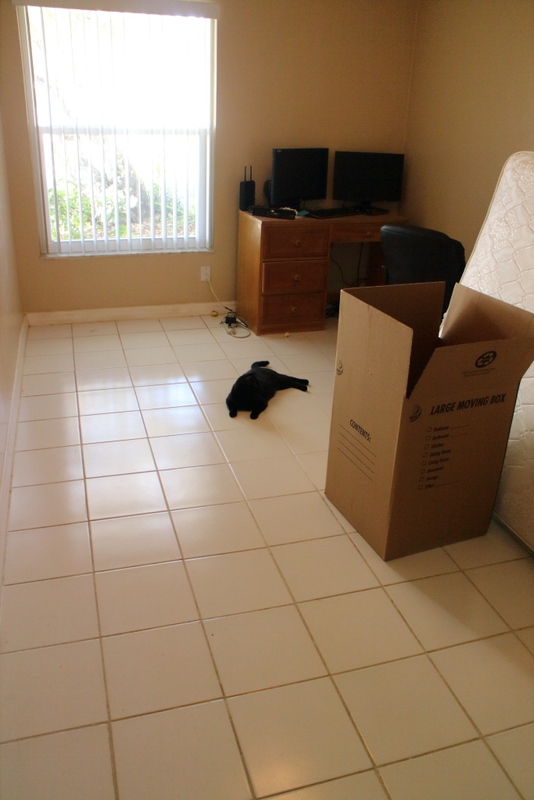 I know you’re GLAD the move is over with…..it’s good that the cats are settling in – since most cats kind of like things to be quiet and calm it has to be tough coping with a new place (not that it’s EASY for humans either!!!!!). I’m sure everyone will sort out new favorite spots and hiding areas and before you know it, all will be well!!!! Wowwzers! Yous guys has moved as much as mes! Mes usually hides away for about a week and a half, except coming to Calgary from Midway. They is both my homes! Wow- I thought they only had the horse and buggy for coffins in New Orleans ( I saw it in a movie). I am glad the kitties were good for the trip. I’m sure they’ll come to love the new place a lot!